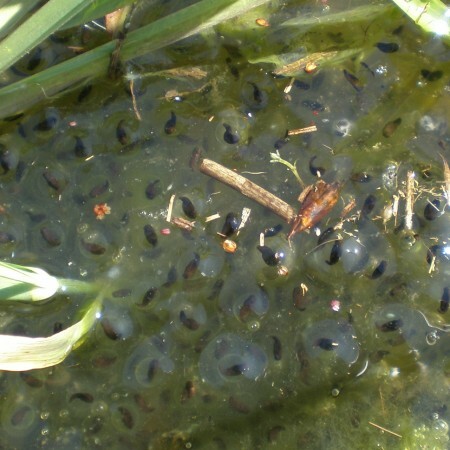 Northwest Ecological Services provides a wide range of ecological services including wetland assessments, wetland restoration and mitigation plans, Section 7 biological consultations, research, environmental impact assessments, low impact development design, and trainings to both the public and private sectors. 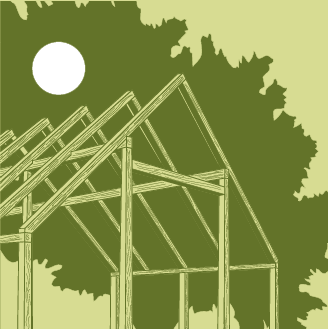 We facilitate construction and land improvement projects by helping people understand and resolve the complex issues that arise when integrating the built and natural world. 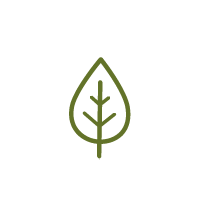 We provide thoughtful and accurate analysis, guidance for positive action, and insight into the personal, legal, and practical dimensions of sustainability. We have over thirty years of combined wetland, botanical, wildlife, and land-use experience. Count on us for high quality service, quick turn around, and fair, honest treatment on every project, from inception to conclusion. Every project is different. If you have more questions than answers about yours, we will listen to your questions and concerns before providing you with options for moving forward. Every project has its twists and turns. When surprises happen, it takes trusted, experienced partners to carry the project forward to completion. We’re with you every step of the way to create the outcomes you want. We understand you are building for the long term, and so are we. We will help you create outcomes that will hold up for years to come. 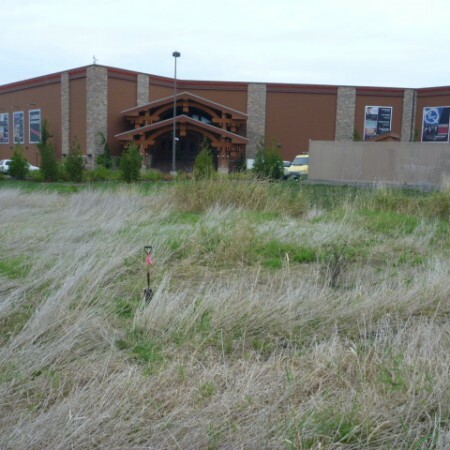 Northwest Ecological Services sheds light on land use issues to help developers complete projects with clarity and confidence. Education, experience, and knowledge of local land issues and regulations play key roles in a streamlined, well-managed development process. We understand the unique challenges developers face, from the single family home owner to commercial developers. We have decades of combined experience, bringing projects to successful resolution. 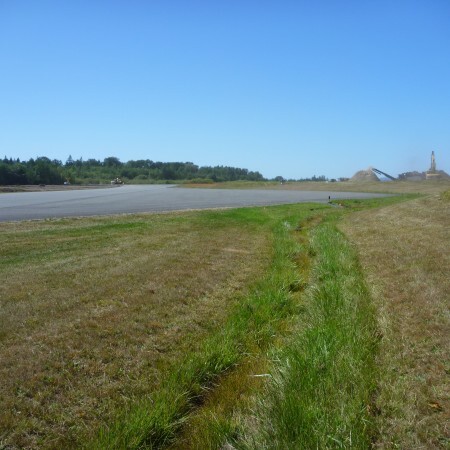 We have forged dozens of strong partnerships with developers, municipalities, and agencies in Whatcom, Skagit, Snohomish, Island, and San Juan counties and have become a recognized leader in land use and development issues. Our capabilities include a wide range of projects, from site planning to mitigation of housing developments, to construction of individual buildings, to the planning of trails, parks, and stormwater features. Our assistance can be a general review or a comprehensive analysis, monitoring ongoing or completed construction. We can also help resolve land use conflicts, contribute to long-range planning, assist with permitting challenges, and find creative solutions to complicated land use issues. Please refer to our services page for a complete listing of services provided. Northwest Ecological Services has successfully assisted agencies with long-range planning. Our projects include shoreline and wetland inventories, mitigation planning, facilities planning, code revision and ordinance compliance. Our team is well versed in local laws and issues, current on regulations and permitting policies, and certified by a number of leading professional organizations. NES is proud of our ability to work collaboratively to design low impact development projects and sustainable landscapes both within a master planning capability and project specific plans. NES is excited to provide training and research in the areas of wetlands, wildlife, and land use ecology. Training workshops and presentations can be targeted to a range of audiences for example: special interest groups, wetland professionals, and agency staff. 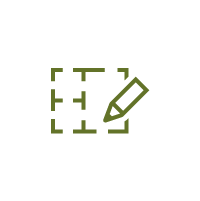 There is no substitute for first-hand experience of local land issues and regulations to create effective planning tools and expedite permit review. Decades of combined experience in north Puget Sound means faster turnaround and a smoother, more efficient process. 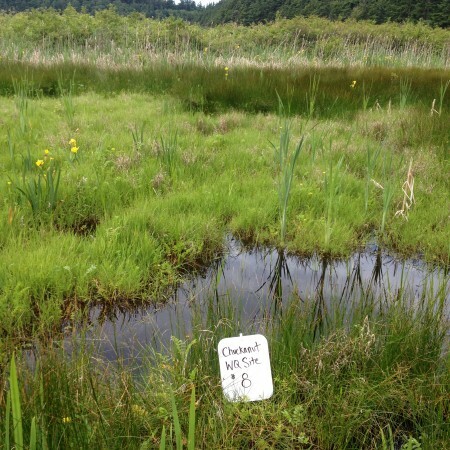 Northwest Ecological Services has successfully assisted natural resource managers with wetland inventories and database updates, wetland field reconnaissance, wetland ratings and data forms, and GIS support services. We have also assisted with impact assessments, mitigation design, and ESA compliance. NES has been providing assistance to local governments in third party review for Critical Areas Permits and development of local master plans for wetland, habitat, and shoreline programs. NES provided both the technical knowledge and sharp regulatory skills needed to guide our project through a complex permitting and mitigation process. NES helped envision a vibrant, healthy park that reflects our community values. 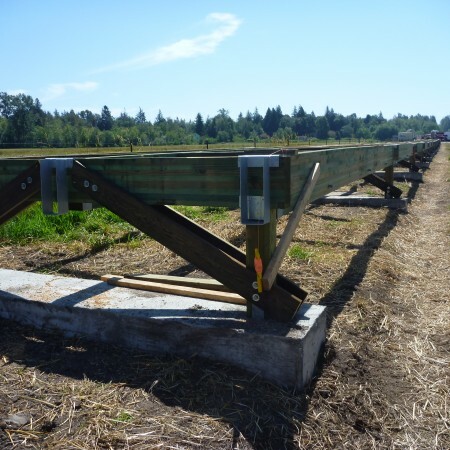 NES understood the project urgency and importance to the Lummi community and helped get us to construction with amazing speed when others were still doubtful. A comprehensive listing of our projects is available here. Michele has provided environmental consulting services since 2002. She has expertise in wetland ecology, shorelines, geology, regulatory compliance, and environmental regulations. Michele has a Bachelors of Science degree in Geology from Michigan State University. She also has a certificate in wetland science and management from the University of Washington. She is also certified through the Society of Wetland Scientists (SWS) as a Professional Wetland Scientist (PWS), #2790. Michele’s experience ranges from technical fieldwork to environmental law. She has worked as both a private consultant as well as a regulator implementing land use regulations. Her experience working in the legal field can also benefit clients when navigating the permitting process and evaluating risk. Michele has served on the Whatcom County Technical Advisory Committee and as a representative during Whatcom County’s WRIA 1 watershed planning process. When she is not working, Michele enjoys sailing and golfing. 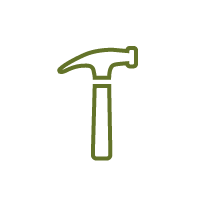 Molly has provided environmental consulting services since 2004. 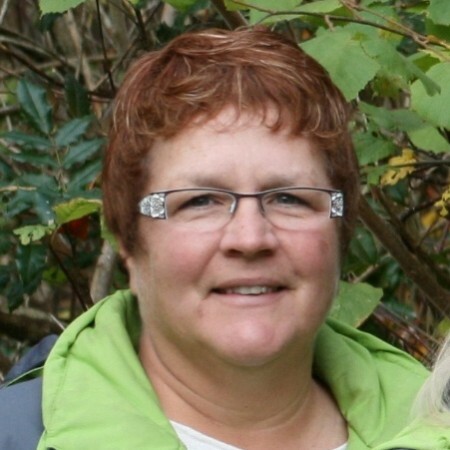 She has expertise in wetland ecology, water quality, stream ecology, and mitigation. Molly obtained a Bachelors of Science in Environmental Science from Huxley College of the Environment at Western Washington University. She is also certified through the Society of Wetland Scientists (SWS) as a Professional Wetland Scientist (PWS), #2064. Molly has a wide technical background. Her education focused on water quality and she began her career doing stream surveys for the Bureau of Land Management. She now helps manage a variety of projects from small single-family to complex mixed-use developments. Molly is especially skilled at mitigation design, construction oversight, and long-term monitoring. She manages NES’s mitigation monitoring program with over 50 annual monitoring sites. When she is not working, Molly enjoys camping, traveling, and spending time with her family. 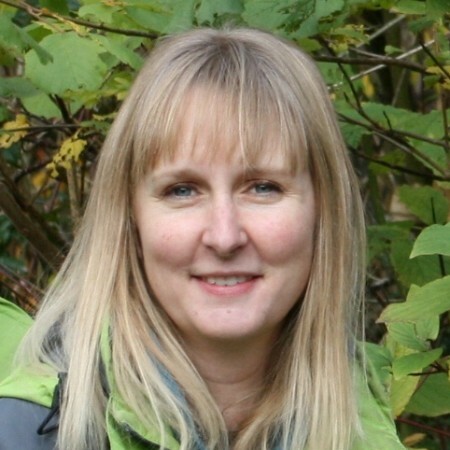 Katrina is an ecologist providing technical support for projects throughout north Puget Sound. She has expertise in wetland ecology, estuarine ecology, and botany. 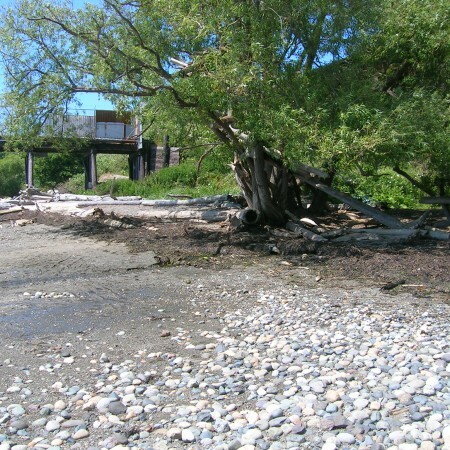 Katrina obtained a Bachelor of Science in Biology and Environmental Studies from the University of Victoria, and a Master of Science from Western Washington University with a focus on coastal wetlands and climate change. Katrina is certified through the Society of Wetland Scientists (SWS) as a Professional Wetland Scientist (PWS) (#2915). Katrina has worked on wetland delineations, mitigation plans, and long-term monitoring with NES. She also has experience with vascular and non-vascular plant surveys, and coastal blue carbon and sediment studies. Katrina is a member of the Society of Wetland Scientists (SWS) and the Coastal and Estuarine Research Federation (CERF). She is currently on the board of the SWS PNW chapter, the Pacific Estuarine Research Society, the Padilla Bay Foundation, and the Washington Native Plant Society’s (WNPS’s) Koma Kulshan chapter, as well as a founding partner of Salal, the Cascadian Food Institute. When not working, Katrina enjoys hiking, biking, botanizing, trail running, and foraging for wild plant foods. Collin is an ecologist providing technical support for wetland, stream, and shoreline projects. 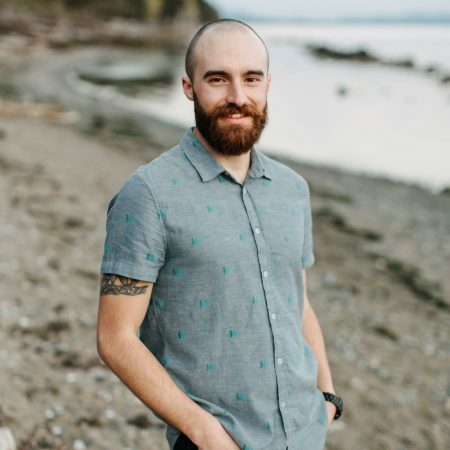 Collin obtained a Bachelors of Science in Environmental Science from Huxley College of the Environment at Western Washington University. He has experience with environmental issues relating to freshwater ecosystems, with a specialization in wetland ecology. His experience includes wetland mitigation design and monitoring, exhibit creation, and geographic information systems (GIS) management. Collin has a diverse skill set developed from formal education and practical experience. He serves on the Whatcom County Design Standards Technical Advisory Committee where he provides insight to how environmental regulations pertain to development projects. His passion for the outdoors is revealed in both work and play throughout Whatcom County. 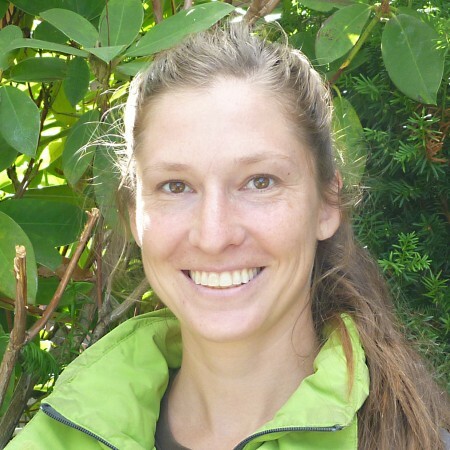 Erin is an ecologist providing technical support for projects throughout north Puget Sound. Erin obtained a Bachelor of Science in Environmental Science (Freshwater Ecology Emphasis) from Huxley College of the Environment at Western Washington University. Erin has experience with water quality sampling and analysis, wildlife monitoring, environmental education, and volunteer coordination and outreach. 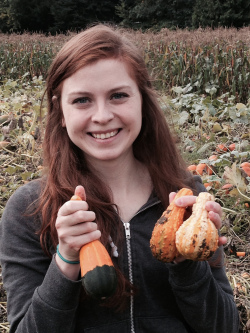 Outside of work, Erin enjoys tending her community garden plot, cooking, traveling, and volunteering for local citizen science programs. Assessments and evaluations to determine the effects of a proposed project on federally threatened and endangered species. Assessments document compliance with Section 7 of the Endangered Species Act. Report findings are based upon information obtained in the formal species listings from the Washington Department of Fish and Wildlife. Work product includes a technical report detailing project description, the action area, and species habitat information, including the species listed for the site and a description of project habitat. 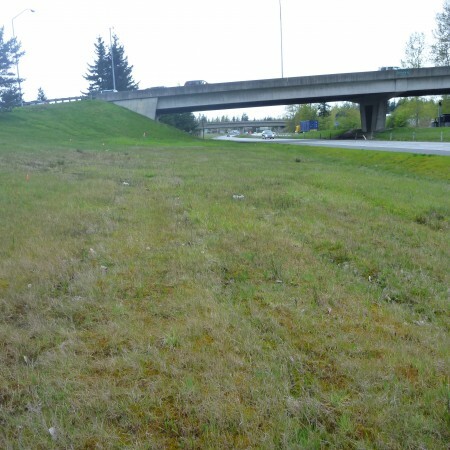 This task typically includes a single consultation meeting with Washington State Department of Transportation (WSDOT), US Department of Housing and Urban Development (HUD), or the Army Corps of Engineers. Project installation is critical to project success. We assist contractors before, during, and after construction to ensure they understand the design and project goals. With our assistance, contractors can have their permitting questions answered and change orders approved with minimal project delays. Contractors and clients can rely on us to help keep their project on schedule and within budget. Mitigation plans are required when a project results in an impact to a critical area (wetland, stream, wildlife habitat) or its associated buffer. These plans may be required by the local, state and/or federal agency reviewing the project. Mitigation plans include a description and analysis of existing conditions, an assessment of impacts to critical areas and critical area buffers, and mitigation sequencing. It also contains a review of the requirements of local and federal jurisdictions, including local municipalities, the Army Corps of Engineers, Washington State Department of Ecology (WDOE), and Washington Department of Fish and Wildlife (WDFW). Mitigation projects generally include creation, rehabilitation, and enhancement of wetlands, streams, and their buffers. Regulatory agencies require as-built reports and yearly monitoring of mitigation plans. An as-built report documents final installation of the mitigation plan. Yearly monitoring typically occurs annually for five or ten years after installation. Yearly monitoring documents the status of the mitigation plan relative to the mitigation goals, objectives, and performance standards, and includes management recommendations to ensure future project success. This survey includes a site visit to provide a general assessment of wetland presence and a review of available background data sources. A field map is produced depicting the general locations of site-critical areas. This level of survey does not include flagging features or collecting data. The accuracy of a reconnaissance level survey will vary depending on site conditions. This product is useful as a planning tool, providing reasonably accurate information at a lower cost. This level of survey is not sufficient for permit submittal or site design. This survey is targeted to projects that occur with a FEMA flood zone or hazard area and require an assessment of species that are protected under the federal Endangered Species Act (ESA) and identified in the FEMA BiOp. The assessment includes a site visit to document existing conditions and a review of available background data sources. The final product is a report providing an analysis of how the proposed project may affect specific ESA listed species. 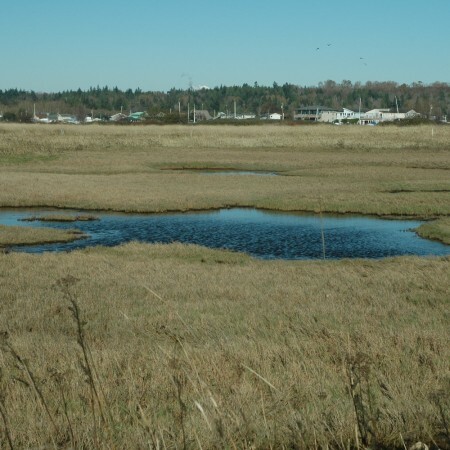 Oregon Fairy Shrimp – mapping and analysis of weltand habitat inhabitated by the Oregon Fairy Shrimp (Eubranchipus oreganos) in the northern Puget Sound area. Western Toad – documenting and maintaining a data base of western toad populations in Whatcom County. This is similar to a wetland delineation, but is directed toward identifying regulated streams, ditches and drainages. If a water is found to be jurisdicitional, the Ordinary High Water Mark (OHWM) is flagged in the field and indicated on a sketch map. Final product includes a technical report identifying stream type, fish use, buffer functions, and regulated buffer widths. Stream delineations may also include regulatory status analysis of manipulated features (ditches). We provide a range of workshop topics including wetland permitting, wetland identification, botany, northwest amphibians, wildlife habitat identification and planning. We can tailor our workshops or fieldtrips to any audience from the working professional to the general public. Contact us regarding current workshop topics. A wetland delineation provides the most accurate documentation of the location and size of a wetland. Data on vegetation, soils and surface water is collected in order to make a jurisdictional wetland determination. Wetland boundaries and regulated surface waters are identified and flagged in the field using protocols detailed in state and federal regulatory analysis documents. The final product includes a technical report identifying wetland type, categorization, wetland function assessment, and regulated buffer widths. Wetland delineations are generally required for local land development permits.